The Fuzzy Navel is on of my wife’s favourite drinks because this fun cocktail is just so easy to make. The Fuzzy Navel is light on the alcohol, and tastes like heaven. This is a great summer cocktail and goes fantastic with a bowl of fruit and whip cream. Invite some friends over, mix up a couple cocktails and spend the afternoon on the porch sipping in the sunshine. Now, for me.. there are easy ways to strengthen this rather weak cocktail. 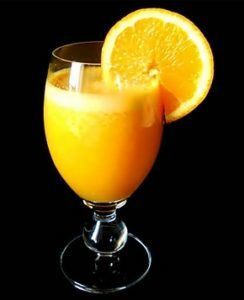 The easiest way is to turn the Fuzzy Navel into the hard hitting Hairy Navel is by simply adding in a little vodka. If you are at all familiar with the Screwdriver… this is a slight variation on that orange and vodka beverage by adding in a little peach schnapps to stick with the original intent of this peachy beverage. Sometimes a little schnapps is all you need.